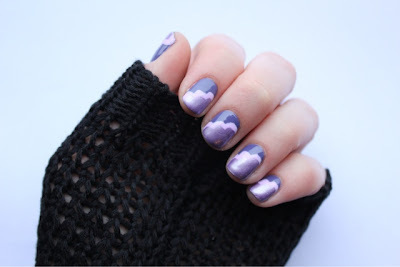 A couple of weeks ago I discovered the amazing MissJenFabulous of Polish and Pearls. She does the most incredible nail art and brilliant video tutorials too, so I thought I'd have a go at one of her nail art for beginners designs. 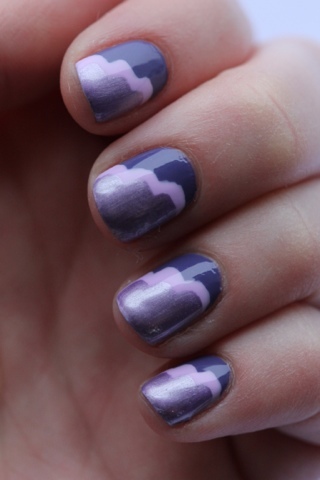 Mine didn't come out quite as neatly as hers, but I thought they were fun nevertheless. 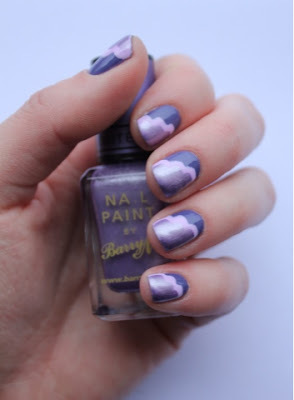 I used Nails Inc Putney Bridge (which I switched here) as the base, then Models Own Fruit Pastel Grape Juice and finally Barry M Lilac Foil (and a top coat of Butter London PD Quick). What do you think? 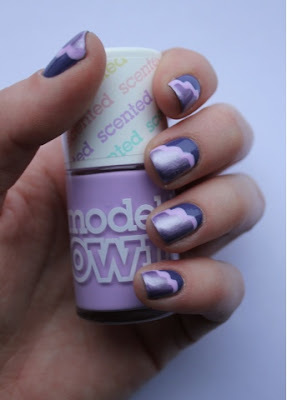 Have you ever tried this type of nail art before? Leave me your links in the comments below so I can have a look! 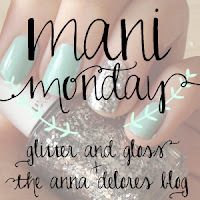 I'm linking up with Mani Monday over at Glitter and Gloss and the Anna Delores Blog - come take a look! very lovely. I've been wanting to try this for a while now and think I may so for the tri-colour challenge. Thanks! Definitely have a go - it would look great for the tri-colour challenge!